So, how’s your summer been? I should say spring and summer, because it’s been nearly two seasons since I’ve posted here, and just about that long that I’ve been scrambling, literarily speaking. With Bouchercon* in New Orleans on the horizon, I'm ready for some serious R&R. 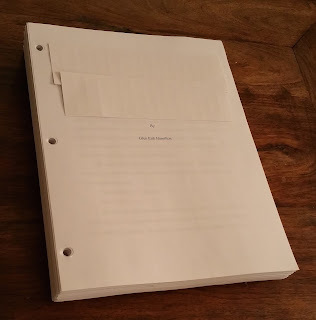 The short version of the story: I had a book due, and it was a tight deadline, and I made it. The longer version will require some explanation of publishing timelines, and sharing some of my recent lessons learned about publishing. My second book, HARD COLD WINTER, was first delivered to my publisher at the end of February last year, just in time to launch my first book, PAST CRIMES, in early March. That’s not an uncommon situation for genre fiction; the goal is usually to produce at least one book each year. When PC launched, I was lucky enough to have a few in-person appearances at bookstores, and virtual appearances on mystery fan blogs and other websites. Virtual appearances require some extra effort. The author is usually writing a guest article or providing answers for a Q&A. Those blogs are terrific exposure, and I’m delighted to be asked to join the party, every time. The hitch? Because those articles have to be written in advance, of course, I found myself working on many of those guest posts while also finishing HCW. A *lot* of posts; I think I wrote eighteen articles and Q&As for PAST CRIMES last year. There’s Lesson #1: Consider the Timing. Book launches require a lot of pre-work and creativity, so make sure you’ve got enough bandwidth, or at least enough runway. I received rewrite notes on HCW from my most excellent editor in late May, and agreed to deliver those by end of July. The rewrites went well, and HCW was in the pipeline. All good. And then I waited. After the frenzy of the previous months, the rest of last summer felt very calm. Unnervingly so. Mine was a two-book deal. Would my publisher want another? Finally I asked my lovely and spectacular agent. She patiently informed me that the publisher would be waiting for me to bring them opening chapters and a synopsis. Whoops. I’d burned a couple of months, fretting. Lesson #2: Don’t Wait For News; Ask. Especially if you’re a noob. Okay, let’s get some opening chapters. I had an idea, I thought. Worked it. Reworked it. Sent some notions to my agent, and she provided feedback. By the time we deemed the chapters and synopsis ready to submit, we were into the holidays. Remember Lesson #2? I didn’t. It was late January before we resumed conversations with my publisher, and fortunately things moved quickly after that. By end of month we had agreed on a new two-book deal, and I was ecstatic. And also freaking out. Because this third book would have to be delivered fast. Between delivering the rewrites on HCW and signing the new deal, I had burned through the better part of six months. And because we needed to hit as close to a Spring 2017 release date as possible (one book a year, remember?) I would need to deliver Book Three in seven months, by end of August. I had forty pages, or about ten percent, done. Ninety percent still to go. Oh, right. Lesson #1. I also had to launch HCW, complete with appearances and writing guest blogs. Fast forward through drafting and redrafting and shredding (pages and fingernails) and tiny cuts and landed punches, and Yes. There it is. And there it goes, off to my most excellent editor for notes. Rewrites yet to come, but I’m very happy with Book Three, and I think fans of the series will be as well. Whew. Plus, I’m getting better at this game. Book Four is due in 357 days. That’s a whole five months longer than I had for the last one; positively luxurious. Not that I’m waiting, because I think I’ve already learned Lesson #3: Every Day Counts. For Writing, and for Rejoicing. And with celebrations in mind, I hope to see you at Bouchercon. Cheers! 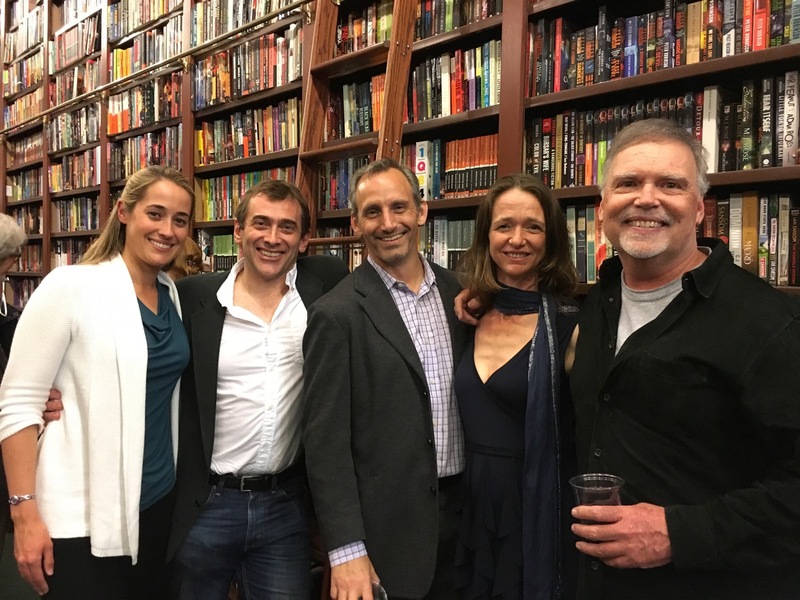 Since my last post, I've had a whirlwind of book launch events for HARD COLD WINTER (huzzah! 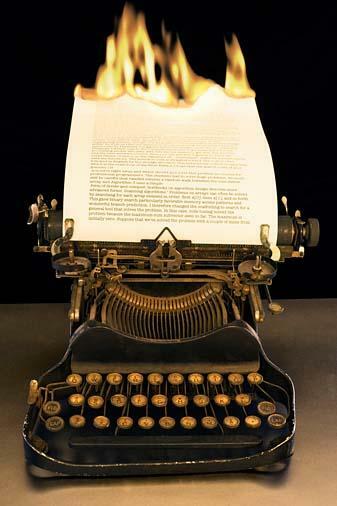 ), signed the contracts for my next two books (double huzzah! 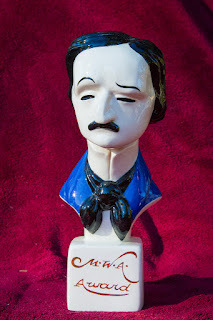 ), and joined the annual Mystery Writers of America celebration that is the Edgar Awards. As a first-time attendee to the Edgars, let me tell you: It was worth the transcontinental flight and every moment of the mild headcold that came with it. 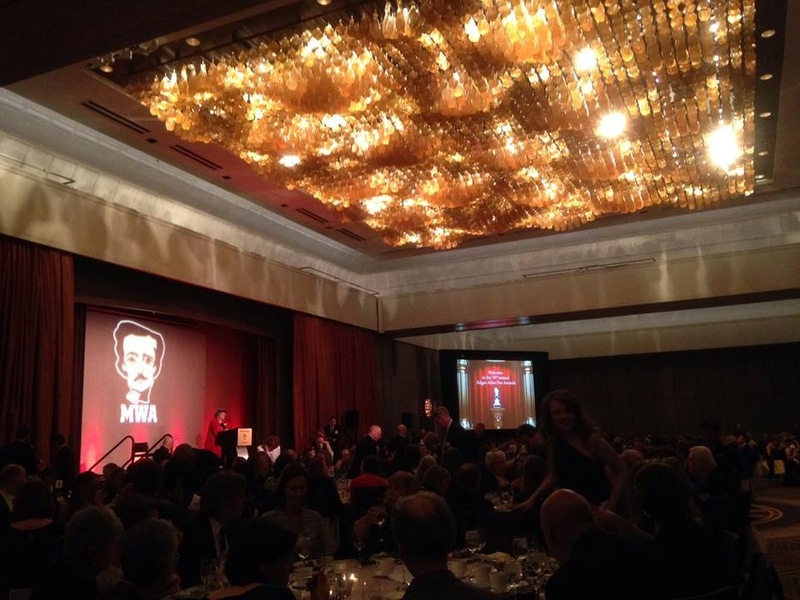 No, I didn't win for Best First Novel, and yes, that was a little disappointing (hey, I'm human). More on that emotion after the photos. But to let Not-winning spoil the honor of being nominated and especially all of the fun my wife and I had meeting old friends and making new ones would be ignorant, not to mention profoundly ungrateful. It really was a spectacular time. At the famed Mysterious Bookshop, in Tribeca. We came straight from the airport, dragging luggage behind us. 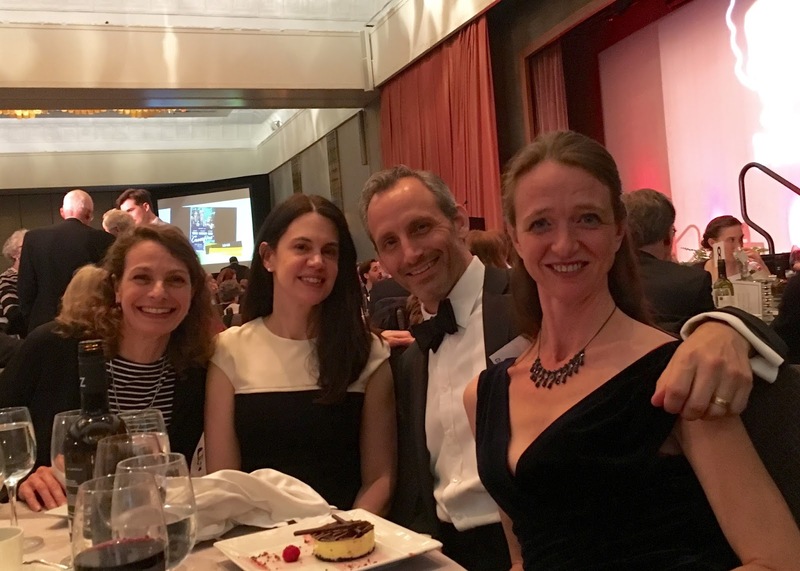 With fellow authors Nadine Nettmann, Jay Shepherd, and Dan Hale (right), who was awarded the Charles Todd Distinguished Service Award on the night of the banquet. The panel "A Dram of Poison" at the symposium, with new friends Brendan DuBois, Susanna Calkins, Gilly MacMillan, and Lori Roy. Let's just assume I'm saying something profound. Photobombed by a Grand Master: Walter Mosely! At the banquet itself, with my superb editor Lyssa Keusch and my exemplary agent Lisa Erbach Vance. Congratulations to the MWA directors and volunteers who carried off a huge event with style and panache. It was a magical night. Patricia Highsmith. Donald E. Westlake. Tony Hillerman. Martin Cruz Smith. Bill Pronzini. Elizabeth George. Walter Mosely. Don Winslow. Janet Evanovich. C.J. Box. Gillian Flynn. What do all of these authors have in common? They were also nominated for Best First Novel. And they lost, too. There's a whole lot of success and acclaim and even a couple of Grand Masters listed there. Incredible company, in other words. See why I'm not too upset? Happy New Year, everyone! Here's a little post-holiday present, courtesy of my excellent friends at William Morrow: If you can't wait the two months until HARD COLD WINTER is released, just scroll below to read the opening chapters!